Kehoe-France was founded in 1949 as a Day Camp for boys and girls under the direction of Patricia Kehoe and Frank A. France. 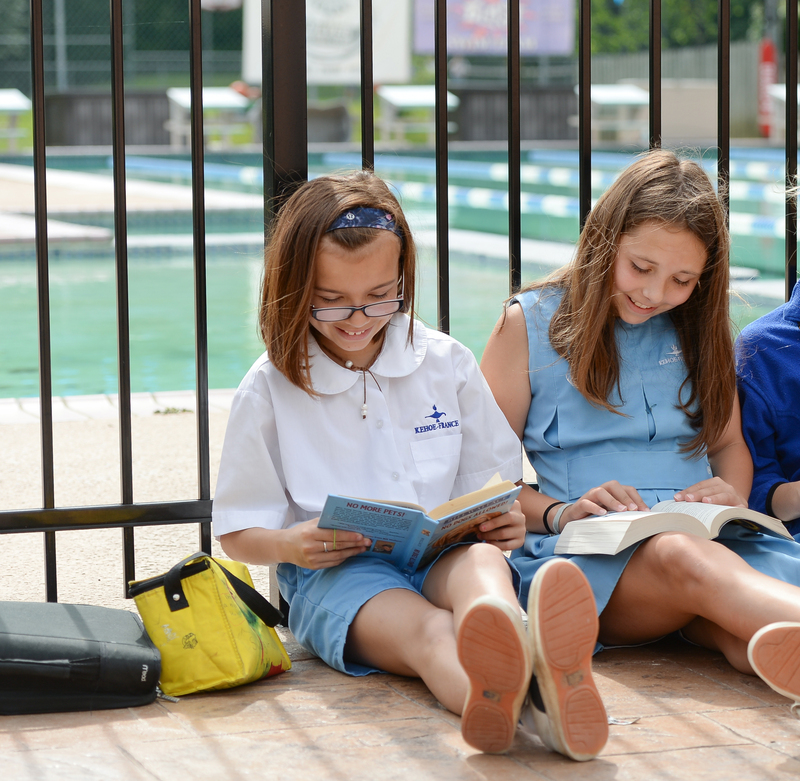 From this partnership Kehoe-France School began its existence in 1962 at 720 Elise Ave. in Metairie and in 1996 a second location at 25 Patricia Dr. in Covington, La. Kehoe-France and Kehoe-France Northshore are independent, non-sectarian, coeducational day schools accredited through the state of Louisiana, SACS (Southern Association of Colleges and Schools), and NIPSA (National Independent Private Schools Association). Kehoe-France Northshore, is open to students from 8 weeks old through 7th grade, which include a Children’s center, Pre-School, lower elementary and middle school. Now in our 20th year in St. Tammany Parish Kehoe-France maintains a serene and wholesome environment that draws many families from the surrounding area in which to raise and educate their children. Uniquely, Kehoe-France Northshore is a privately owned institution that was founded and continues to operate without the aid of fund-raising drives and operates solely on the tuition and fees of the students. Our Staff of seasoned Teachers and support staff have been an integral part in providing our students necessary preparation to be successful with their continued secondary education and beyond. These certified and degreed teachers continue their education with participating in 25 plus seat hours annually. Within our staff more than half have 10 plus years tenure with Kehoe-France which constitutes their commitment to our schools mission and continued support to meet our goal of educating the whole child. Our curriculum continues to evolve as student’s learning needs are discovered and addressed. Starting with The Creative Curriculum for infants through Kindergarten, this curriculum offers developmentally appropriate support for active learning and promotes a child’s progress in all developmental areas. In our lower and middle schools we enlist accelerated curriculums which include technology resources such as I-pads, computer laptop labs, projectors, mimio smartboards and robotic Lego mindstorms to enhance the student’s learning experience. Kehoe-France Northshore offers many extracurricular activities of which any child can find their interest. Athletic teams such as flag football, volleyball, cross country, swimming, basketball, track and field, golf, tennis and cheerleading helps develop a well-rounded child ,promoting good sportsmanship and self- discipline. The arts are also a big part of our extracurricular offering both visual and performing arts activities. At a very young age, through our music and drama classes, students learn to perform on stage and our visual arts classes help develop the student’s creative works which are proudly displayed throughout our school. As we follow our mission, we continue to share our vision of educating the whole child. To confirm our successes we continue to monitor achievements of our alumni through our “Alumni Spotlight” which shares continued achievements with staff, current students and stakeholders which in turn gives our school family a great sense of pride and encouragement. This school pride continues to resonate throughout our community with the hope of attracting new students for generations to come.